Take to the ice this half-term as Norm of the North returns for another animated adventure. 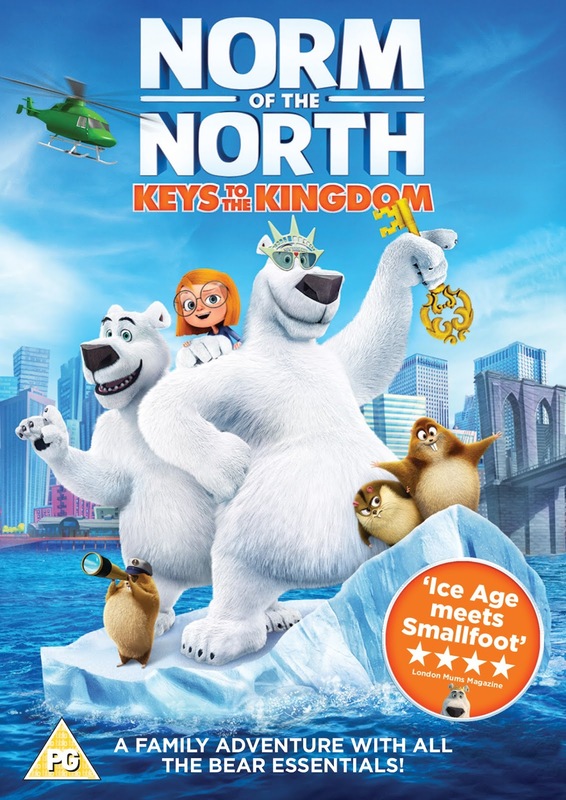 The latest full-length feature from our favourite polar bear – NORM OF THE NORTH: KEYS TO THE KINGDOM – is out to download from 11th February and own on DVD from 18th February. Norm, the newly crowned king of the North, travels to New York with his son to accept the keys to the city. But Norm goes from hero to villain when he’s framed for a crime he didn’t commit! While he is trying to uncover the real criminal, back in the Arctic a vicious bottled-water company has moved in and is starting to steal the ice. Norm must rely on his friends, both old and new, to clear his good name and help save his kingdom in a thrilling winner-takes-all hockey match. He also learns some good lessons about leadership in this fun new film. Fancy getting your hands on a copy? Well you are in luck as I have 3 copies to give away! To enter complete the rafflecopter below. Norm goes to New York. Great giveaway! Looks great for my son. I forgot what the required question was!